Coconut Oil is the best. I use it for a variety of reasons. Fractionated Coconut Oil is a bit different though. 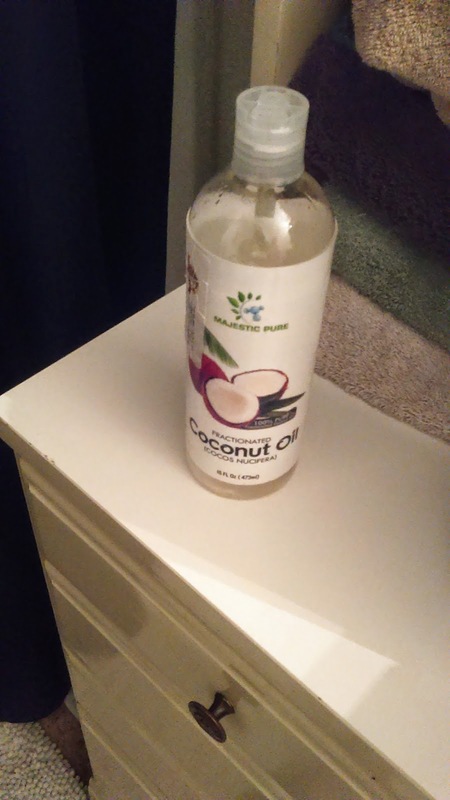 Check out the Fractionated Coconut Oil that I have been using daily.
" Fractionated coconut oil is a fraction of the coconut oil from which almost all the long chain triglycerides are removed, thus leaving mainly the medium-chain triglycerides and making it an absolutely saturated oil. This saturation gives it a very long shelf life and greatly increased stability. In addition, fractionating raises the comparative concentration of Capric acid and Caprylic acid, thus giving it more of antioxidant and disinfecting effect." 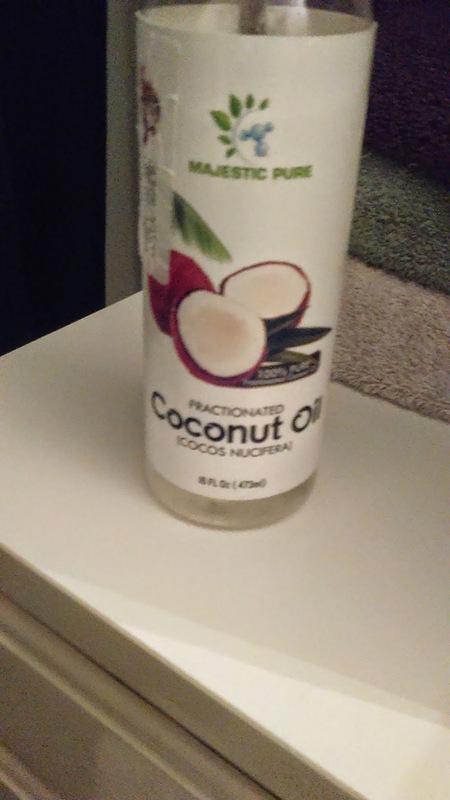 I use this oil on my hair after I get out of the shower, in the morning, and at night. I just pour a bit into the palms of my hands, rub together and then massage onto my scalp and hair. It's a light, watery oil, not very thick like some other oils. It leaves my hair so shiny and not greasy. I like to use it in my deep cleansing oil masks that I make for my hair too. I also think it's perfect for massaging onto very dry skin, on cuticles, and freshly shaved legs too. It moisturizes, doesn't irritate my skin, and makes it feel smooth. I really like this oil. I'm also very pleased with how big the bottle is. It reminds me of a shampoo bottle. The only issue that I have with the bottle is that since the oil is not as thick as some other oils, too much can spill out if you're not careful. You can purchase this product right here on Amazon!